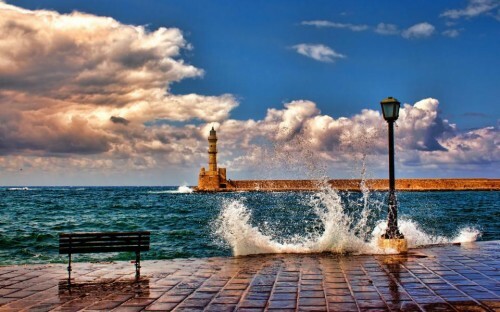 Cheap flights to Crete: Chania from Poland for only €68! If you want to enjoy early vacation in beautiful Greece you can now book cheap flights to Crete. 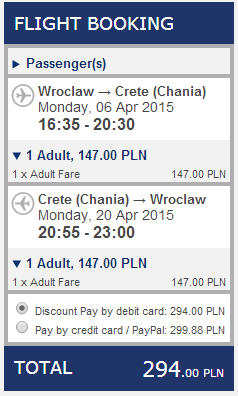 Return tickets from Wroclaw or Katowice to Chania will cost you only €68 / 294 PLN! This price includes 10 kg cabin luggage up to 55 cm and one other smaller bag up to 35 cm. Travel dates are in April which is already warm enough to enjoy the sun and sea in Crete. Polskibus connects Katowice and Wroclaw with other cities in Poland, Germany, Czech Republic and Slovakia. There are many other dates available for just few Euros more. Book your ticket via Ryanair. Crete is amazing destination with wide choice of accommodation options, you can choose great hotels for good price directly at the beach. If you want to discover the whole island and you are slightly adventurous renting a car is the best option to travel around so check the rates to get the best prices. « Cheap flights to USA: Chicago from Berlin for only €325!